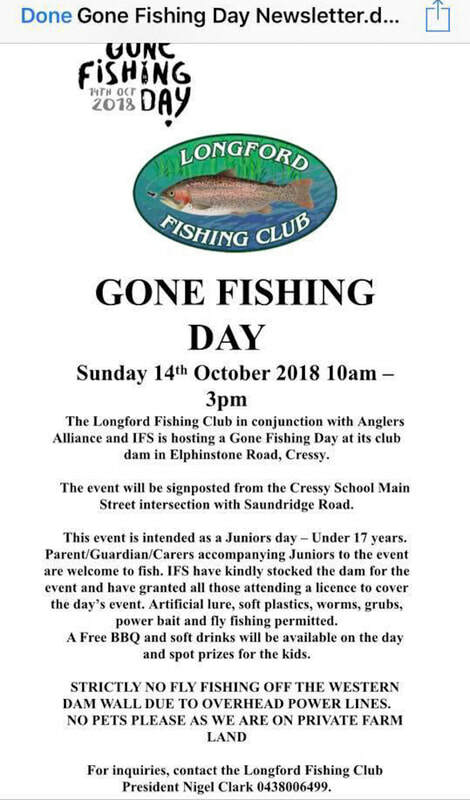 The Longford Fishing Club National Gone Fishing Day Juniors Event is a great success. There is lots of happy kids and a few fish being caught as well. Thank you to all our supporters. Morgan Leath. The Longford Fishing Club would like to thank the following businesses for sponsoring and helping with the Gone Fishing Day.